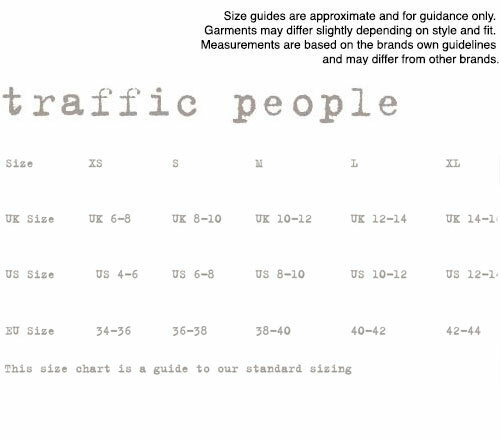 Traffic People geo print 'japer' retro party dress. 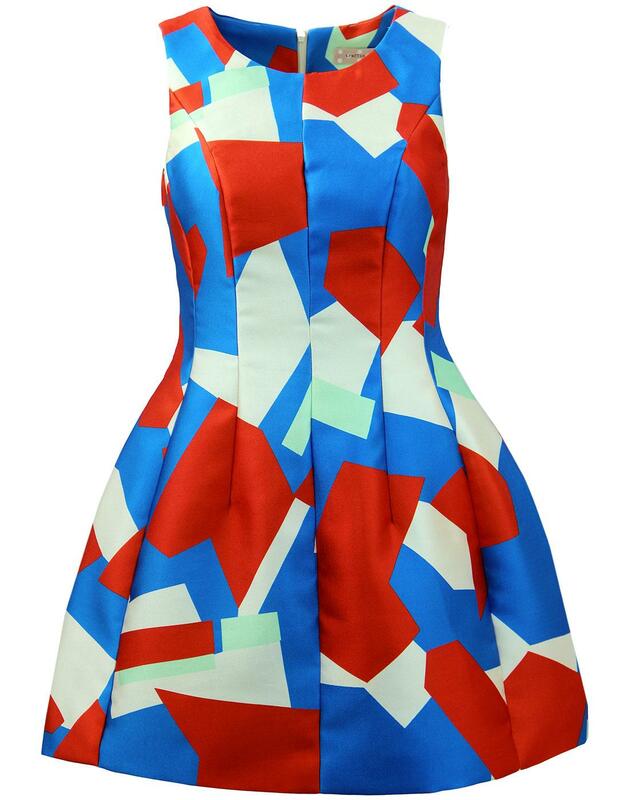 Striking mini dress with a bold Retro geometric print in bright blue and red with dashes of pastel green and cream. This stunning dress has a really exaggerated silhouette. Its super fitted paneled bodice and waistline flare out into a Victorian style pouf skirt piece. 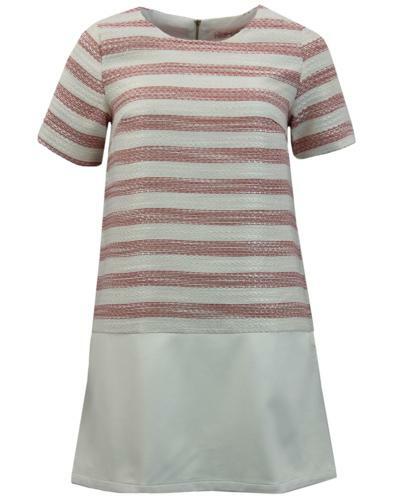 This dress has a sleek shimmer fabric. A real show stopper for someone who dares to stand out from the crowd. 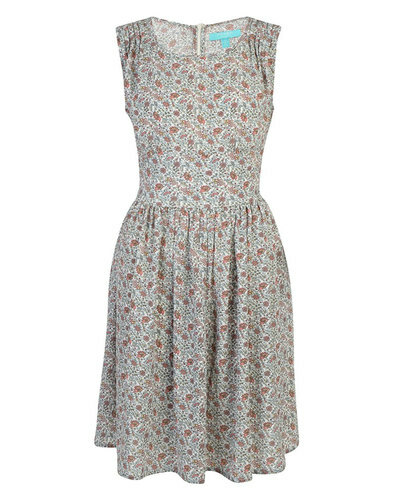 Traffic People geo print 'japer' retro party dress in red/blue. 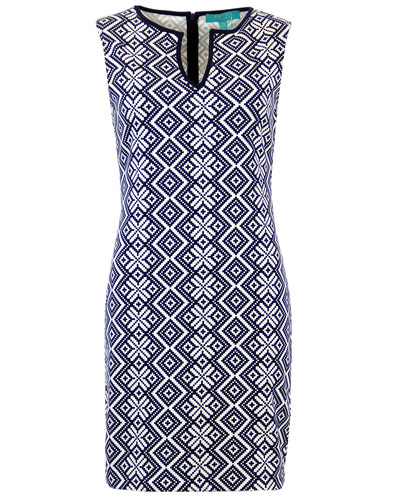 Sleeveless paneled dress. 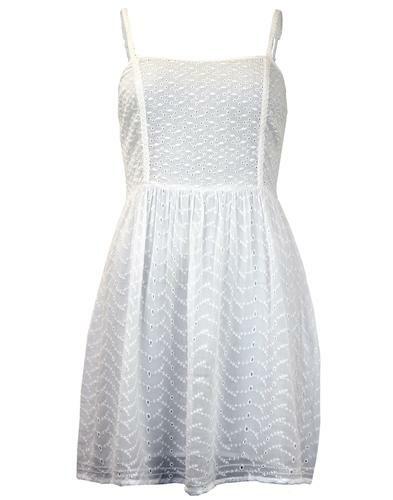 Fitted bodice and waistline with a pouf skirt creating the perfect feminine silhouette. Shimmer geo print fabric. Concealed zip fastening down the back. Full cotton lining. Key points: Traffic people geo print 'japer' retro party dress. Composition: 100% Polyester and 100% Cotton lining.